Irma Dell Corley Lewis, daughter of Olin Corley and Ruby McLendon, married to Jonathan Walker Lewis. Irma has donated her body to science. 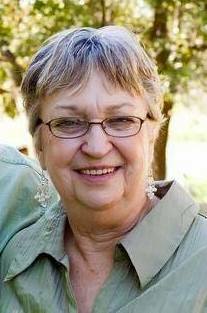 Irma Lewis, 79, of Granbury, received her angelic wings after a long fight with COPD Thursday morning, Dec. 3, 2015. Memorial service: Saturday Dec. 19, 2015, at 10 a.m. at Triple Cross Cowboy Church in Granbury. Irma donated her body to science. In lieu of flowers, the family is requesting for you to attend the memorial service, share your memories of Irma and bring a covered dish or dessert. Irma was born in Limestone County, Texas. She grew up in Shep, Texas. She lived in Puerto Rico for two years, moved to Alaska in 1972, until her husband retired from the military in 1974. 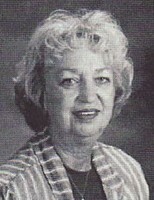 They moved back to Abilene where she taught science for 22 years, and retired in Granbury. Irma is survived by her husband of 51 years, John Lewis; her son, Andre Lewis and wife Tamra; her youngest daughter, Johna Elliott and husband Carl; son-in-law Robert Burns; grandchildren, Heather Rudd, Jon Burns, Austin Burns, Kristi Barr, Cal Lewis, Andrea Lavy, Lacey O’Dell, Kacey Humphies, Shelby Haggart and 19 great-grandchildren. She was preceded in death by her parents, Ruby Weems and Olin Corley, her oldest daughter Paula Burns, brother-in-law Tolbert Grisham, and her sister Billye Grisham. Click here to see Irma Dell (Corley)'s last Profile entry.